VRWorks Graphics features are aimed at Game and Application developers and bring a new level of visual fidelity, performance, and responsiveness to virtual reality. This version paired with Turing based GPUs brings many new technologies including Variable Rate Shading and Multi-View Rendering. Variable Rate Shading is a new rendering technique that increases rendering performance by applying full GPU shading horsepower to detailed areas of the scene, and less GPU horsepower to less detailed areas. Multi-View Rendering expands on Single Pass Stereo’s features, increasing the number of projection centers or views for a single rendering pass from two to four. All four of the views available in a single pass are now position-independent and can shift along any axis in the projective space allowing support for new display configurations and canted displays for extremely wide fields of view. Added sample application ‘variable_rate_shading_dx’ to demonstrate the new Turing feature Variable Rate Shading (VRS). Variable Rate Shading is a new, easy to implement rendering technique enabled by Turing GPUs. It increases rendering performance and quality by applying varying amount of processing power to different areas of the image. With this feature, applications can reduce shading rate in areas where it is not needed and boost it in areas that would benefit. For additional feature specific details, refer to NVIDIA Variable Rate Shading Programming Guide. Added OpenGL (variable_rate_shading_ogl) and Vulkan (variable_rate_shading_vk) samples to demonstrate Turing feature “Variable Rate Shading” (VRS). The samples show how to vary fragment load across the screen, e.g. for foveated rendering. For additional details, refer to the programming guides provided along with the samples. Updated multiprojection_dx sample to demonstrate the new Turing feature Multi-View Rendering (MVR). Turing’s Multi-View Rendering(MVR) is an expansion of the Single Pass Stereo (SPS) functionality introduced in the Pascal architecture that processes a single geometry stream across two different projection centers for more efficient rendering of stereo displays. MVR expands the number of hardware accelerated viewpoint projections from two to four and allows more view-dependent attributes, helping to accelerate VR headsets with more displays and canted, wider field of views. 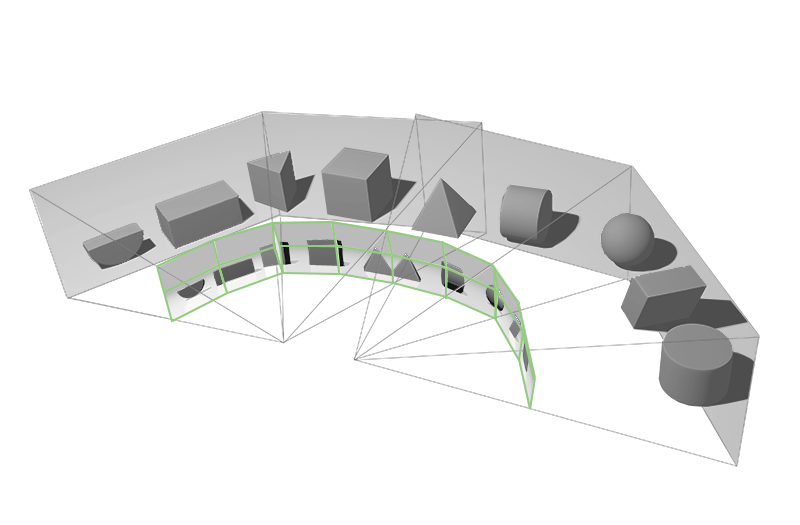 For additional feature specific details, refer to NVIDIA Multi-View Rendering Programming Guide. Updated OpenGL (multiprojection_ogl) and Vulkan (multiprojection_vk) samples to demonstrate Turing feature “Multi-View Rendering” (MVR). 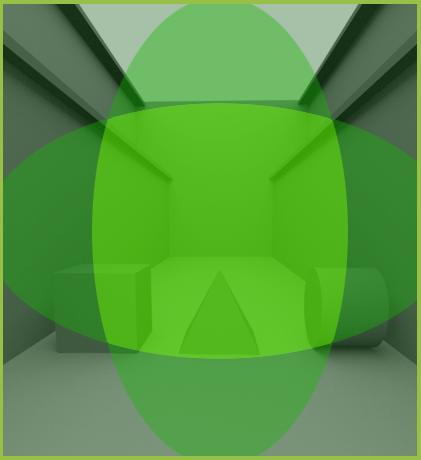 The samples show how to render the same scene from different viewpoints. For additional details, refer to the programming guides provided along with the samples. Added functionality to the ‘vr_sli_dx’ sample to optionally take advantage of NVLINK P2P read transfers. This transfer type allows for the efficient copying of compressed resources on supported NVLINK connections leading to improved bandwidth usage. Please note, Turing features VRS & MVR require Turing GPUs and driver 411.63 or higher.